Place the shrimp in a large bowl and add the lime juice. Measure in the ketchup, hot sauce, Worcestershire, onion and cilantro. Mix well. Cut the avocado in half, running a knife around the pit from stem to blossom end and back again. Twist the two sides apart and scoop out the pit. Scoop each half out onto your cutting board, cut gently into small cubes, then scoop the avocado on top of the shrimp mixture. Carefully fold in the avocado, then divide the mixture between 4 to 6 serving dishes (martini glasses make a dressy presentation). Garnish with sprigs of cilantro and prepare for a taste of beach-side dining. I want to learn how to make authentic Mexican food that my Mexican friends will envy. Not asking for much! Back once again for this recipe . . . have used it several times now and it is always a smash. My mouth is watering already. SUCH a great shrimp cocktail. I tone down the Tabasco for kids, crack it up for adults. Also u need to add a glass of ORANGE FANTA . I was wondering if you had a recipe for albondigas soup. I was in old town San Diego and went to a Mexican restaurant (forgot name, but as you walk into the restaurant, there are two ladies making hand-made tortillas on two large grills), and I had absolutely the best albondigas soup. I just looked through everything and it seems that we do not! I’m so sorry! What size shrimp should one use if intending this to be a shared appetizer? I’d like to take it to a gathering. Could it be served as a sort of dip with tortilla chips? Since this recipe calls for cooked shrimp, you may be fairly limited in what sizes are available. I would go with the standard large 26/30 count. This is a delicious tostada topping – slightly more sturdy than a tortilla chip. I would recommemd cutting the shrimp into pieces if that is how you plan to serve it. Enjoy! I would definitely cook the shrimp myself and chill it before assembling as I don’t care for precooked. For sharing leave the shrimp whole, arrange tortilla chips around the bowl so people can use a spoon to scoop shrimp onto their chips. 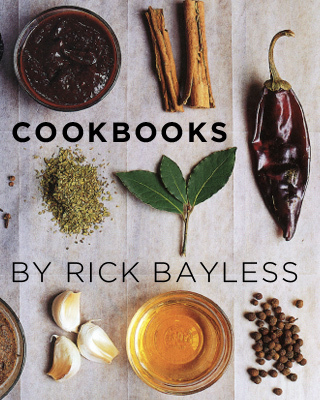 I have the book “Mexico One Plate At A Time” by Rick Bayless. I have learned so much! I found this recipe in it a few years ago. It is scrumptious! I’m spoiled to it. I can’t eat shrimp Coctail any other way! I’m so excited to have made this at home. Authentic flavor just like traditional Mexican restaurants.